CODeDOC is an online exhibition at the Whitney Museum's artport launched September, 2002. CODeDOC takes a reverse look at 'software art' projects by focusing on and comparing the 'back end' of the code that drives the artwork's 'front end' -- the result of the code, it visuals or a more abstract communication process. A dozen artists coded a specific assignment in a language of their choice and were asked to exchange the code with each other for comments. The results of the programming are made visible only after the code --what visitors to this site encounter first is a text document of code from which they can launch the front end of the project. CODeDOC is an endeavor to take a closer look at the process of this particular artistic practice, and to raise questions about the parameters of artistic creation. The layer of 'code' and instructions that constitutes a conceptual level which connects to previous artistic work such as Dada's experiments with formal variations and the conceptual pieces by Duchamp, Cage and Sol LeWitt that are based on the execution of instructions. What distinguishes software art from other artistic practices, is that, unlike any form of visual art, it requires the artist to write a purely verbal description of their work. The aesthetics of artists who write their own source code manifest themselves both in the code itself and its visual results. 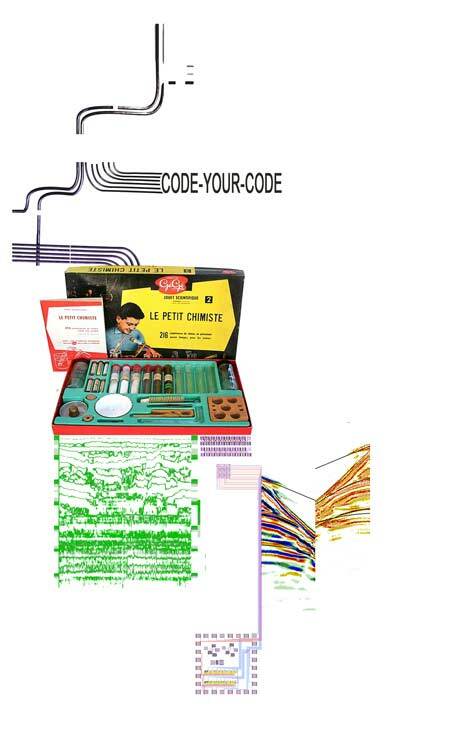 Artist John F. Simon, Jr. has talked about code as a form of creative writing. Code has also been referred to as the medium, the 'paint and canvas,' of the digital artist but it transcends this metaphor in that it even allows artists to write their own tools. The projects featured as part of CODeDOC are expressions of distinct artistic signatures: the conceptual approach to the project, the way the code has been written, and the results produced by it reveal a lot about the respective artist.